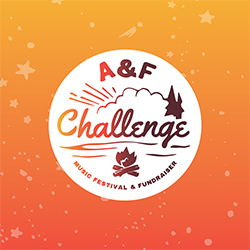 We're raising money to send kids with serious illnesses to camp through The A&F Challenge, Abercrombie & Fitch Co.'s largest annual fundraiser. With over 4,000 attendees annually, The A&F Challenge has raised more than $10 million to date, raising over $3.5 million in 2017. This year, all proceeds benefit SeriousFun Children's Network. Join us in support of this cause by making a donation today and buying a ticket to the celebrate at the event-featuring bands, unlimited food and drink and fun for the whole family-on Friday, Sept. 7 at the Abercrombie & Fitch Home Office in New Albany, Ohio.